A good way to entertain your guests would be to hire Magic OZ, who is an expert as a Kent Dinner Party Magician. 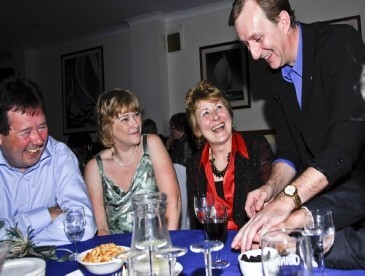 As a member of the Famous Magic Circle, he also offers his services at weddings, family garden party, retirement party and special celebration party Oz is the Kent Dinner Party Magician to hire. He uses stunning illusory tricks, close up magic with sly of hand, comedy and clean fun for making your event memorable. An interesting fact about OZ who is a top magician in London is that he does not want just a reaction from his audience he always makes it so personal and memorable. He encourages all who attend to observe his magic closely, participate in the fun and in general, have an enriching amazing experience as the Kent Dinner Party Magician. 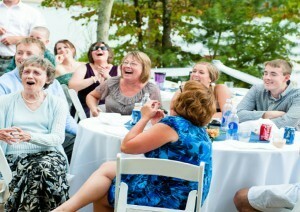 As one of the most highly recommended Kent Dinner Party Magician today, Magic OZ boasts of a prestigious clientele that include many celebrities, corporate companies, charity organizations, and private clients. Some of the most prestigious customers of Magic OZ include Great Ormond Street Hospital Charity, Sky TV, Sloane Club London, most major hotel groups and thousands of private clients as the Surrey dinner party magician to hire. If you are planning to hire a Kent Dinner Party Magician for adding a fun and comedy element to your family garden party or family dinner party, contact Magic OZ as soon as possible. Being one of the most popular magicians in UK today, his magical services are always in great demand. Why not call Magic OZ today, but remember please book early so not to be disappointed.